Police have released CCTV images of a woman they are keen to trace as part of an ongoing investigation into a serious assault in the Grassmarket. The incident occurred around 10.55pm on Saturday 29 July 2017, when a 39-year-old woman was pulled to the ground, sustaining a serious head injury. Police believe the woman in the CCTV footage may be able to help with the investigation. She is described as white, mid-twenties, 5ft 6ins tall, of slim build, with waist-length silver/blonde hair, and a local accent. She was wearing a long peach-coloured top, denim shorts and platform shoes. 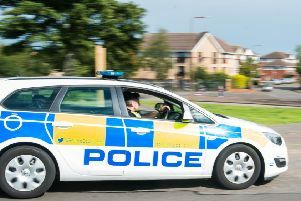 Detective Constable Caroline Niblock of Gayfield CID said: “The victim sustained a painful injury which required stitches and has left a permanent scar. Anyone with information is asked to contact police on 101, quoting incident number 4460 of 29 July, or report it anonymously to Crimestoppers on 0800 555 111.